How Do I Sort All Of These Papers? Missy: I love you right back!! 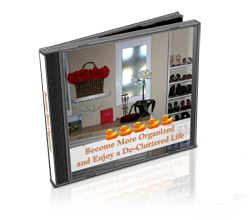 Missy Bystrom, professional organizer of over 25 years give you her insights and ideas on how to live a more balanced, and less cluttered and chaotic life. No workbooks, no ‘step-by-step’, just a simple common sense approach you can listen to and follow at your own pace. Listen while you are driving or at home, and get ready for a calm, balanced life!